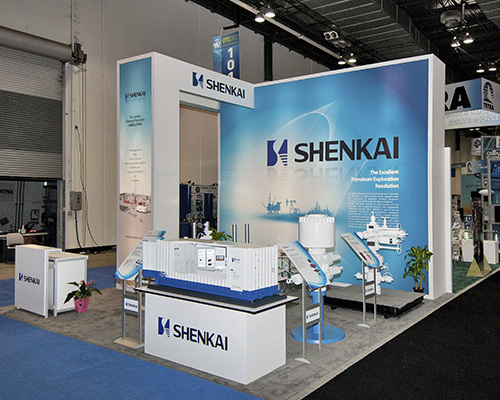 With a challenging exhibit location directly in front of the loading dock doors, Shenkai approached 2020 Exhibits to help them make their presence known at the “oil show of shows” the Offshore Technology Conference. 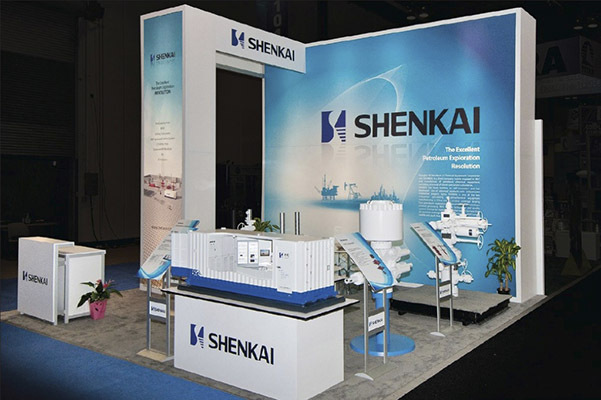 Shenkai is a big, bold presence in the oil and gas industry. Their position in the marketplace is solid, amid changing tides. 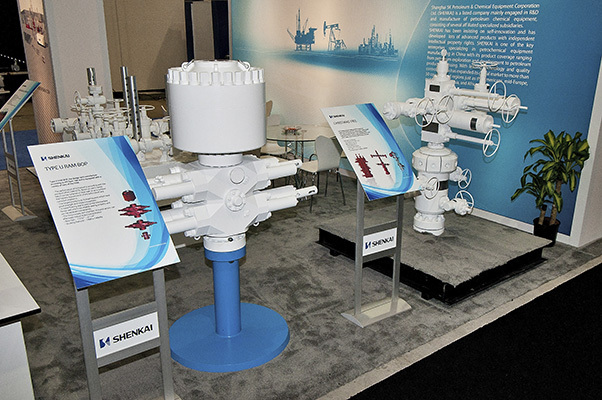 2020 Exhibits reinforced this message through the design and build of a bold, commanding exhibit structure which highlighted the firm’s strength with large, sweeping visuals and their solid, strong branding and creative elements. 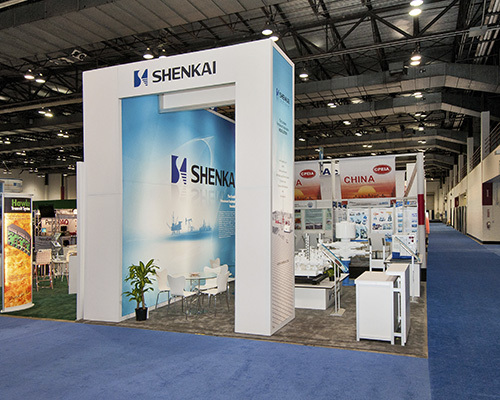 The exhibit design and floor plan is organized to maximize the space available, capturing attention and drawing attendees and clients into the exhibit environment. To maximize the space available, the design focused upon capturing attention and drawing attendees to the space with a large back lit back wall structure and accompanying tower structures. A large back-lit wall structure shone like a beacon, with accompanying tower structures providing a stable, strong reinforcement. This lighter, brighter design also subtly incorporated walk-in storage and a comfortable, modern seated area for face-to-face interaction and discussions.